It is no secret that the Oakland Raiders needed to make significant upgrades to their roster this offseason if they have desires to be in the postseason race in 2019, as so far, that is exactly what they have done. 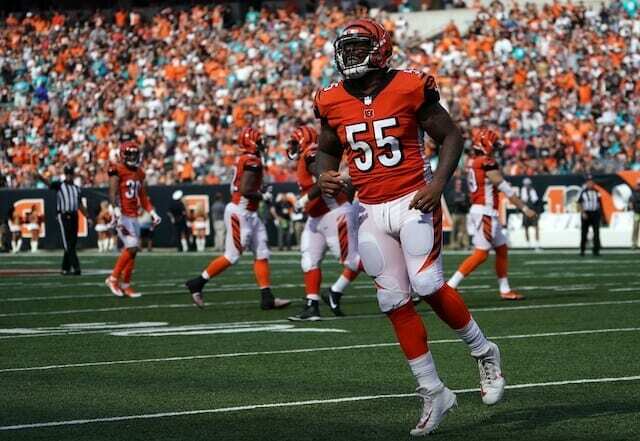 One of the big signings they made was bringing in former Cincinnati Bengals middle linebacker Vontaze Burfict. It is no secret that Burfict does not have the best reputation in the league, being suspended multiple times for dirty hits and PEDs, but it is also no secret that he is a solid player that can help the Raiders win games this season. A fresh start with a new organization seems to be exactly what Burfict wanted after being released by the Bengals earlier this offseason. With the additions of him, Lamarcus Joyner, Nevin Lawson and Curtis Riley, plus three-first round picks in the upcoming draft, the Raiders defense should be much more formidable in 2019 than it was a year ago.